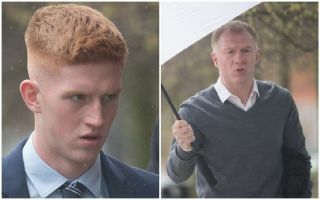 Man Utd legend Paul Scholes has reportedly seen his son found guilty of assault after an altercation with a former friend outside a pub in Oldham. As noted by The Sun, it’s reported that Arron Scholes assaulted Robert Kemper and left him with facial injuries after ‘punching him repeatedly’. The 19-year-old is now on trial at Tameside Magistrates Court, with his father in attendance on Monday as proceedings began. However, it’s added by The Mirror that Scholes Jr has already been found guilty of the charge against him, while in contrast, the Sun suggest that the trial is set to continue. In turn, there is some confusion over where things stand currently, but based on the details provided of the incident, it doesn’t sound particularly good for the youngster who is currently playing for amateur outfit Royton Town. It caps off a horrendous month for the family, after Scholes left his job as Oldham boss after a matter of weeks in the job following a less than impressive seven-game stint. He cited issues over the hierarchy not living up to their promises to him, but it appears as though he may well have plenty on at home too with his son now facing a potential assault charge. “I was having a cigarette facing away from the door when I started receiving punches, I didn’t know where it was coming from or who was throwing them,” Kemper said of the assault. “I was just aware of walking out in a daze a few minutes later, I was still unsure of what happened. I was very confused about that incident – I just knew I was struck a number of times and I had not hit anybody else.